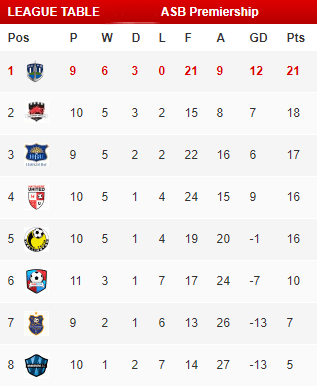 WaiBOP United will play five home games at Cambridge FC’s John Kerkhof Park during the ASB Premiership, after a decision was made to move there from Hamilton’s Beetham Park. John Kerkhof Park has been chosen following Cambridge FC’s successful hosting of several events on behalf of WaiBOP Football. WaiBOP Football’s Communications Manager, Dwayne Barlow, said John Kerkhof Park was a good fit for WaiBOP United. “When John Kerkhof Park became available as an option for our home games in the Waikato it made sense for us to consider the move,” says Barlow. “The playing surface still requires some maintenance work to be completed, but we’re confident the surface will be up to the required standard come November 23, which is the date of the first game scheduled for the venue.” In addition to its central location within the Waikato and Bay of Plenty region, one of the main reasons for moving to John Kerkhof Park has been the attitude and enthusiasm shown by Cambridge FC. “The people at Cambridge have been first class over recent weeks. They’ve gone out of their way to look after us, from their presentation of the venue for the two All Star matches to providing and delivering the meals for the team when they were in camp at Auckland recently,” says Barlow. 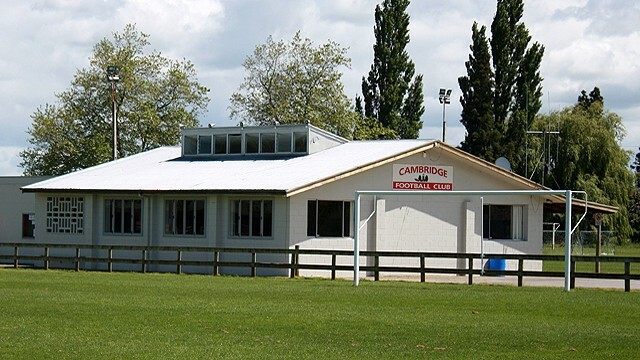 “This proved to us that John Kerkhof Park and, just as importantly, Cambridge FC, is capable of hosting ASB Premiership fixtures.” WaiBOP United Head Coach, Peter Smith, is pleased with the move to Cambridge. “The surface at John Kerkhof Park will be good and the facilities will work well for us,” says Smith. “I’ve seen the plans and I think once the ground is set up and we get a good crowd in we’ll have a great atmosphere and the team will enjoy playing in front of them.” Cambridge FC’s chairman, Greg Zeuren, was naturally delighted by this decision. “This opportunity has fallen in our lap and it’s one we intend to take full advantage of,” he says enthusiastically. “As a club we put a lot of effort into the Federation events we hosted this season and it’s great to see immediate recognition for that hard work. Having ASB Premiership matches in Cambridge will be another sporting feather in the cap for the Waipa District and we look forward to welcoming football fans from across the Waikato and Bay of Plenty regions.” New Zealand Football has inspected John Kerkhof Park. “Our main concern was whether the playing surface would be up to scratch,” says Chris Kemp, NZF Competitions & Rules Manager. “At this stage it requires a bit of remedial work, but I’ve been assured it will be fine come the first game scheduled there. I look forward to visiting a transformed John Kerkhof Park during the ASB Premiership season.” The first ASB Premiership match at John Kerkhof Park is scheduled for Saturday November 23 against Hawke’s Bay United. Kick-off is at 5pm.